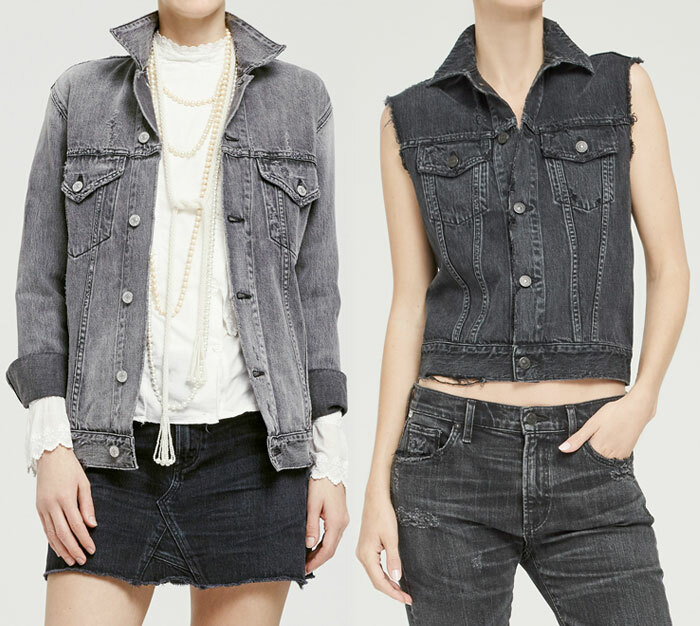 The marriage between denim and rock n’ roll continues…and I am loving it! 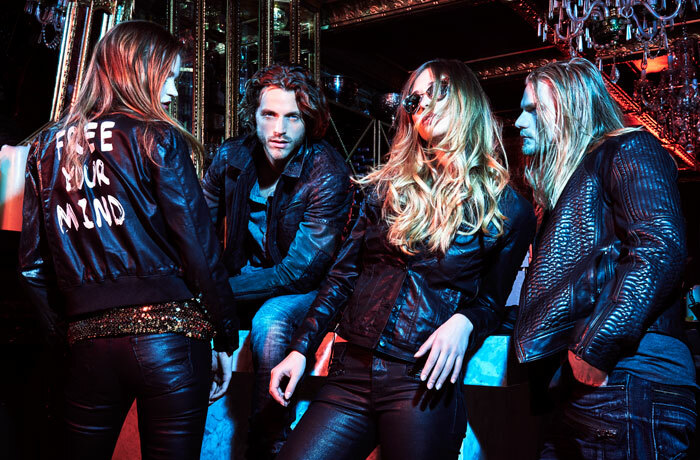 Veteran denim brand Citizens of Humanity is leading the pack with this next move, collaborating on an exclusive line with German e-tailer MyTheresa. But that’s not the meat and potatoes of it…this collaboration is inspired and influenced by the heavy metal band Metallica, with each piece photographed on Jessica Miller, the gorgeous model wife of drummer Lars Ulrich. 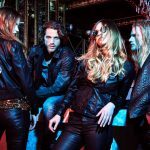 I grew up on a lot of metal and industrial music before I ever got into electronic and became a DJ (well, once a metalhead always a metalhead, don’t get me wrong) and along with my love of denim, this gets me fairly excited! 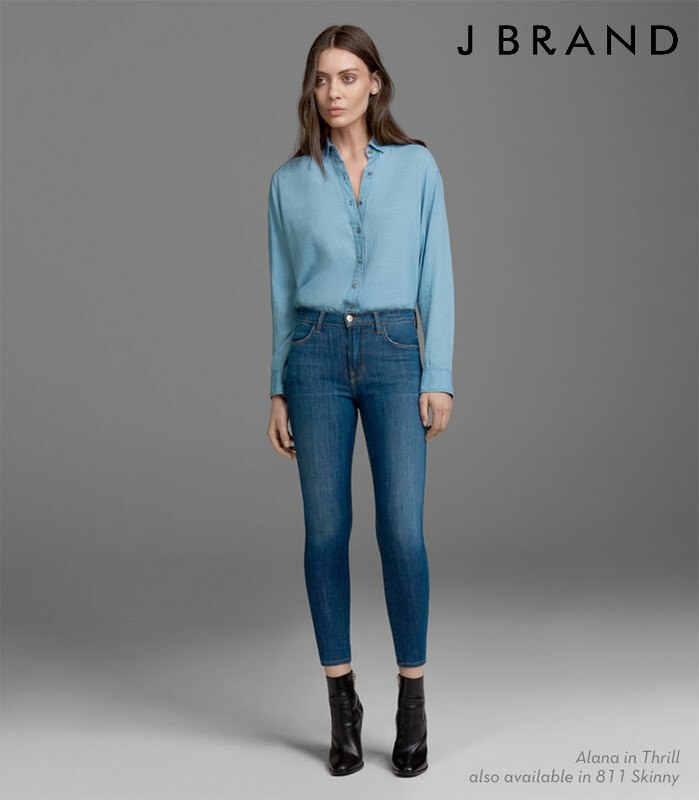 The Citizens of Humanity x MyTheresa collection is made up of jeans, denim outerwear and tops that come right out of the ’90s rock era (the best there was if you ask me). 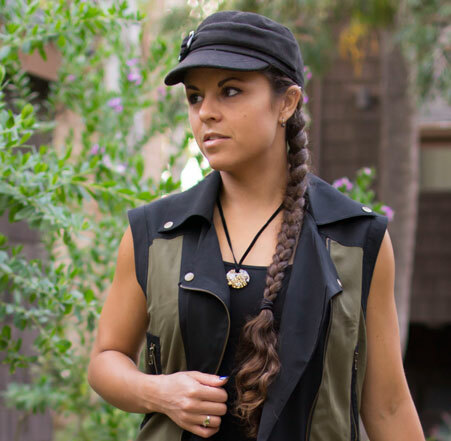 The Trucker Vest in After Hours at the bottom of this post definitely screams metal grunge! This subculture has always been intriguing to me, but growing up in high school, I only really saw a lot in terms of style when it came to what was worn onstage or in photo shoots of my favorite bands rather than what self-proclaimed “metalheads” wore while out and about (which I guess is fair enough that fashion and style isn’t exactly on the top of their minds). I always loved taking everything in the stylistic direction, so this collection speaks to me in that regard! All pieces from this collection were manufactured at the Citizens of Humanity headquarters in Los Angeles. Shop the Citizens of Humanity x MyTheresa collaboration here! I’m not a huge shorts person, but if it’s hot enough, you’d better believe I’m grabbing my Siwy or True Religion shorties out of my closet without a second thought! I don’t really like skirts much due to chafing and when it’s hot enough, skin on skin is not all that comfortable (yeah it’s pretty much the only time when I’d find that darn thigh gap to be useful), although I’d always wear them to work when it was too hot for jeans. However, shorts don’t have to always be inappropriate for work or more modest settings, and I knew there had to be something cute to wear that didn’t look like I was about to embark on a safari. 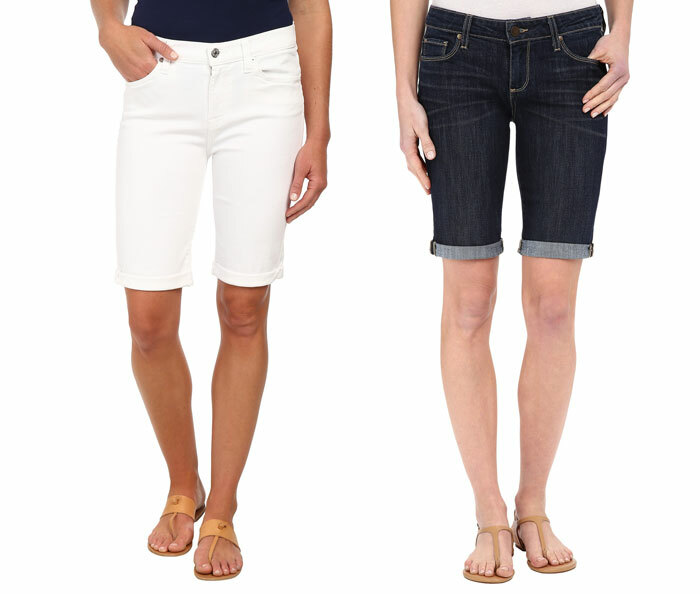 One one particularly sweltering workweek, a pair of knee length, fitted twill shorts from Abercrombie that I had stashed away made me go on a hunt for more like it, but of the denim kind! It’s funny to me how far we’ve come since the year (2008-ish?) that Sarah Jessica Parker stepped out in a pair of grey skinnies from Habitual and caused the trend to blow up in popularity overnight. Today, grey jeans come in all sorts of pretty washes and finishes. It’s awesome to me how much you can do with such a basic shade! Black jeans have always been seen as a closet staple, so that’s nothing new, but still after all these years it too is anything but ordinary. MOTHER has just combined all of their most beautiful black and grey jeans in a collection (or story, as they call it) titled The Black Sheep, but you’ll definitely feel anything but a mere outsider wearing these! Actually, take it as being an outsider in terms of being ahead of the crowd—strut your stuff in any piece from this “story” and you’ll definitely turn heads! 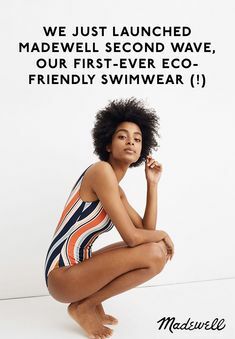 I am so insanely happy to see so many new ethically-conscious denim brands popping up lately, along with existing ones that are introducing such initiatives into their manufacturing processes. The whole Made In The USA thing is a growing importance to consumers (including me), even though it’s gotten increasingly difficult to keep manufacturing here at a price everyone can afford. However, there is a price to pay for quality, and I feel it’s justified if it’s all done right. 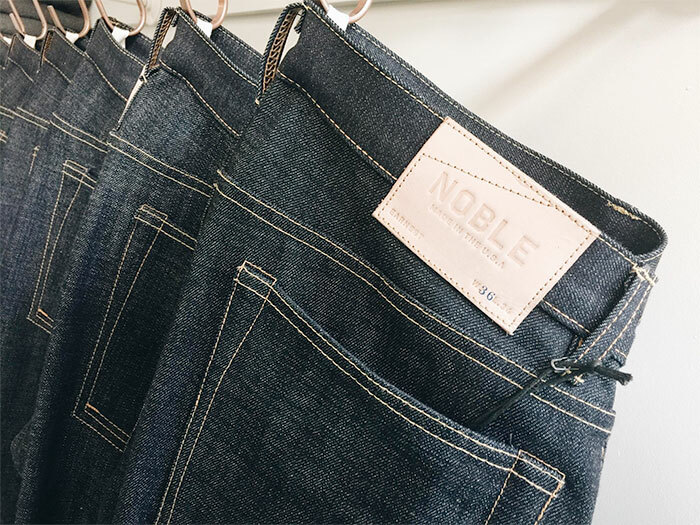 Noble Denim is an American denim brand cares about fair wages and treatment of workers as well as jobs on our soil, and have kept their promise since 2012 with an unwavering quality. We all know high morale leads to higher productivity, and Noble Denim values the relationships they have with those who make their brand possible. They also pay attention to the closest of details and use “uncommon materials that simply cost more.” With most premium denim, you do get what you pay for. This is the time of the year, at least where I am here in California, when temperatures rise and humidity drops significantly…and the struggle with dry skin is on. I also suffer from a little bit of eczema (ok, actually sometimes a lot), and my entire life I’ve relied on prescription creams to combat it. Even with the dry skin alone, I’ve gone through bottles and bottles of lotions (and yes, even coconut oil) that all promised to cure this common malady once and for all, but to no avail, despite their high numbers of positive reviews. It’s been such a huge frustration for most of my life, and sometimes gets even more annoying when it’s time for a product review or outfit post photo shoot for either Denimology or my blog here, and my hands look dry and flaky and long story short, less than photo ready! This post totally brings me back to my color theory courses in my college days…it’s so hard to pick out one favorite (although I think I put my finger on blue) and they all look so pretty together, whether they are complimentary or harmonious, primary or dissonant, pigments or values. Right now I’m more partial to earthtones and blacks, but there will always be a side of me that perks up when I see all kinds of colors together. Shopbop has collected some of their best pieces that match all three primary colors: red, blue and yellow, and put it all together for our shopping pleasure. I figured it would be fun to share some of my favorites. There unfortunately wasn’t a whole lot in the realm of jeans, so for the blue I grabbed one that wasn’t part of the collection (the James Jeans Shayebel High Rise Flare Jeans in Awakening) to keep it rounded out. I’m not really partial at all to yellow, but there were a few cute pieces (I would definitely carry the MICHAEL Michael Kors Selma Medium Messenger Bag in Sunflower of course). Read is easy..always sultry and beautiful, even though it’s not really my color either, to be honest! 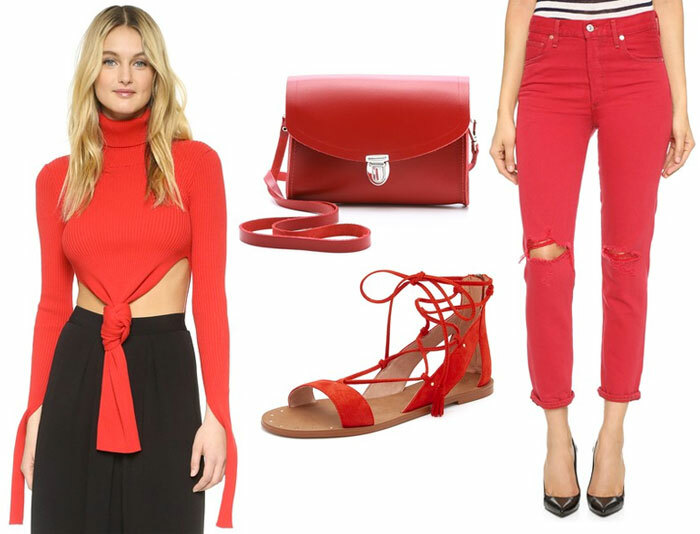 I do really like ripped red jeans though, like the Citizens of Humanity Liya High Rise Jeans in Double Dare and that Jacquemus Knot Sweater is just awesome as is the Cambridge Satchel Push Lock Bag. Just like colors in general, all these items look so pretty together! 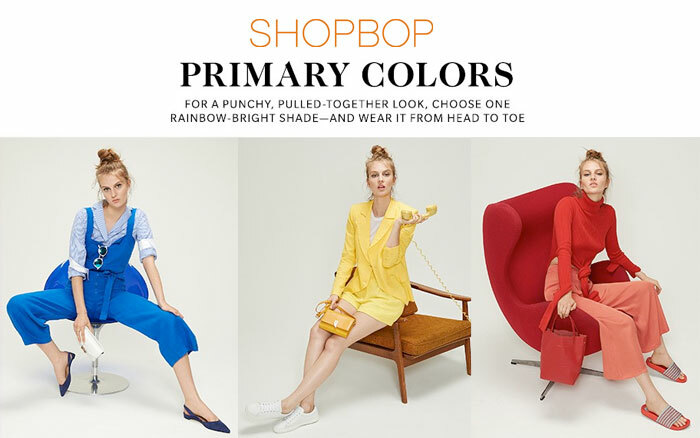 Shop more pieces at the entire Shopbop Primary Colors collection here. 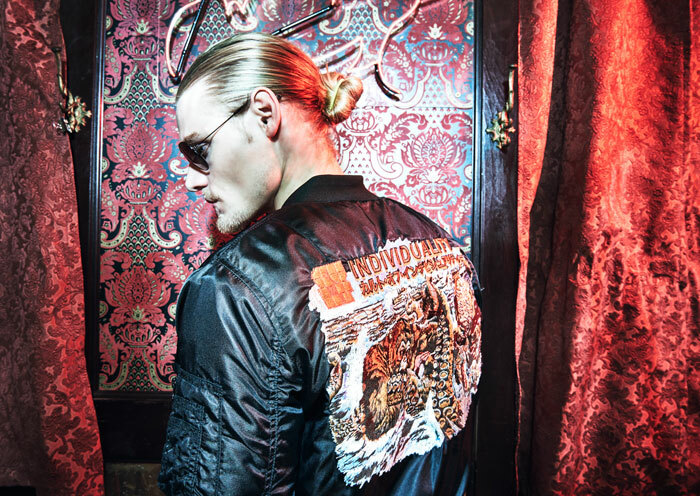 I love a little badassery in any new brand, lookbook, collection or individual piece of clothing on its own. Cult of Individuality is a huge favorite of mine, because not only have they encapsulated this attitude, but they’ve also done so with some serious quality, including selvedge and raw denim. Anyone who knows anything about the denim industry knows that means these jeans are tough, and meant to be worn through power slides, crowd surfing, skateboard spills or whatever your rough and tough lifestyle demands of the clothing you wear. I’ve reviewed a few pairs of Cult of Individuality and I will vouch for all of this (not that I really skate, dive into mosh pits or rock out on stages every night). 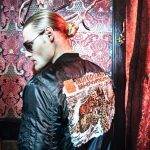 Cult of Individuality’s Fall/Winter 2016 lookbook is out, and man is it awesome. I am in love with the photography, the clothing…everything about it! It’s divided up into sections: Pun, Paint, Motor, Grunge and Street, and it is are all so beautifully done. I know we’re only merging into Summer here, but it’s making me crave the cool weather again like crazy! Scroll on for some of my favorite images from the lookbook, along with a couple of quotes that came along with it which helped set the overall theme with some well-placed attitude. Are you as excited for Fall as much as I am now? Shop current Cult of Individuality here! 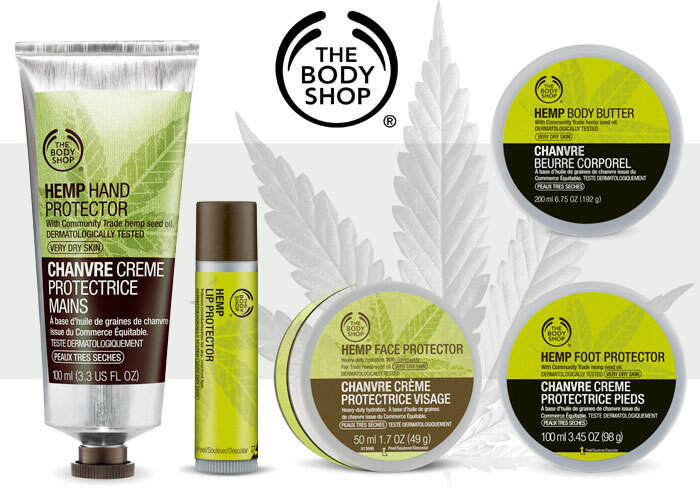 Check out my reviews for the brand here and here. 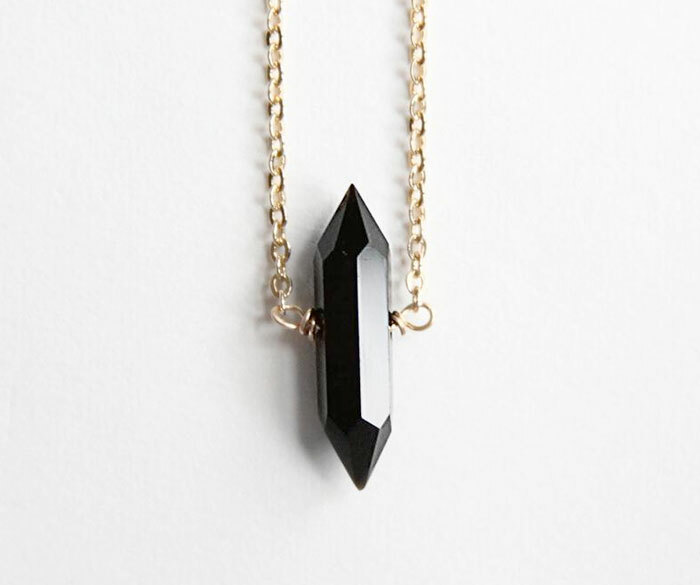 Gemstone Necklace Sale at Midwinter Co. 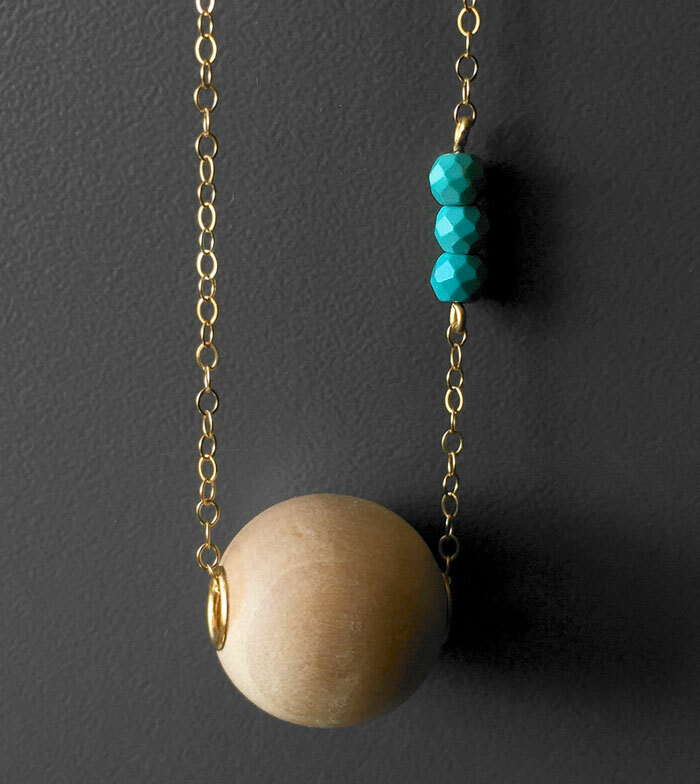 I am a huge fan of independent handmade jewelry brands…add in raw gemstones and you’ve got my attention! 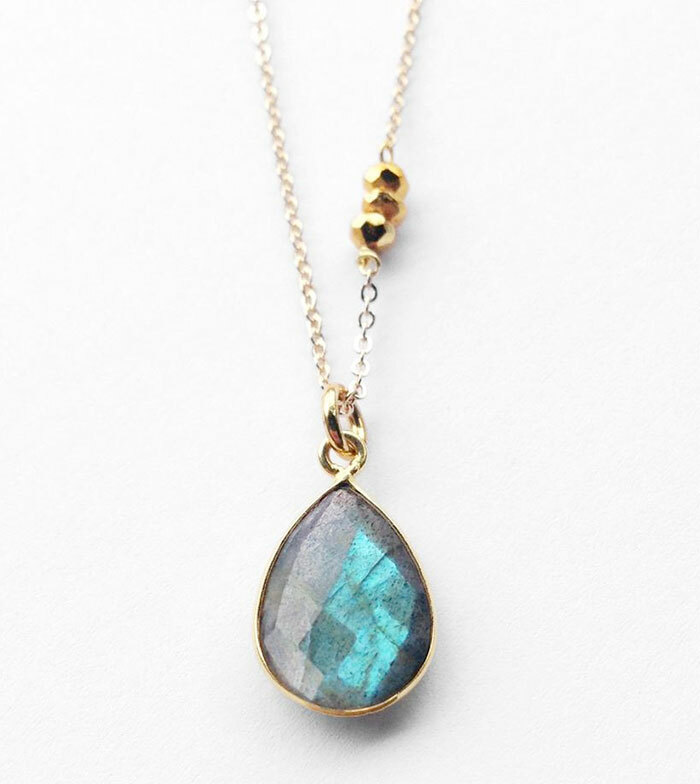 One of my all time favorite jewelry brands is Midwinter Co., due to their wide range of rustic and raw yet gorgeous pieces made from hand-picked “perfectly flawed diamonds, rough uncut gemstones, and high quality, uniquely styled metals.” I discovered them on Fab.com years ago and haven’t looked back since! 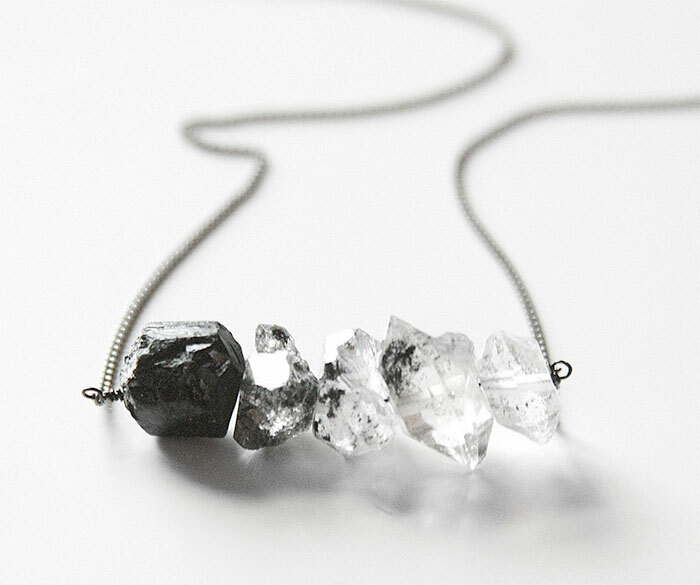 I just can’t get enough of the raw gemstones (due to natural appeal and the fact that no two pieces are the same!) 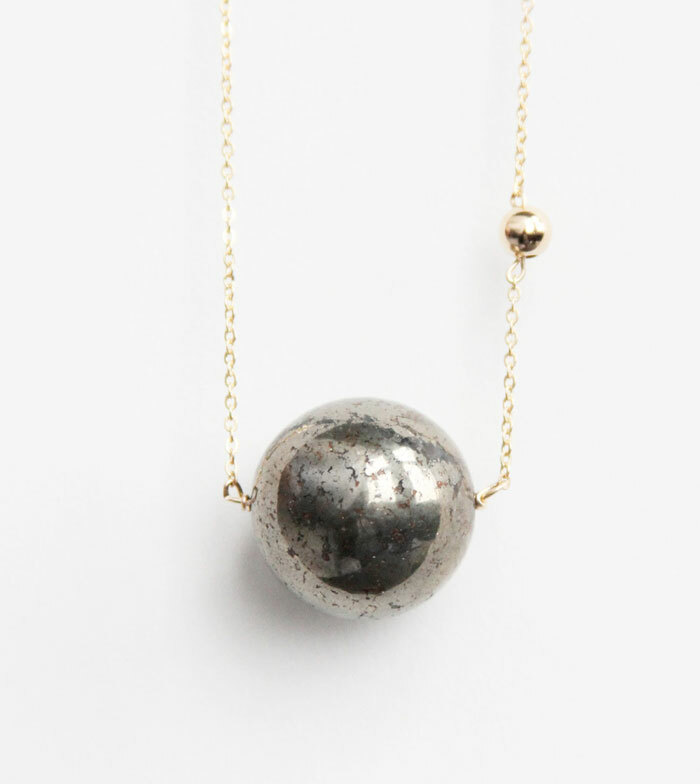 but even their polished, cut stones are just totally beautiful with a slight industrial feel as well when placed in gunmetal rings or necklace chains. I especially love that they donate 10% of all profits to charity. Check out my post about them from back in January here! 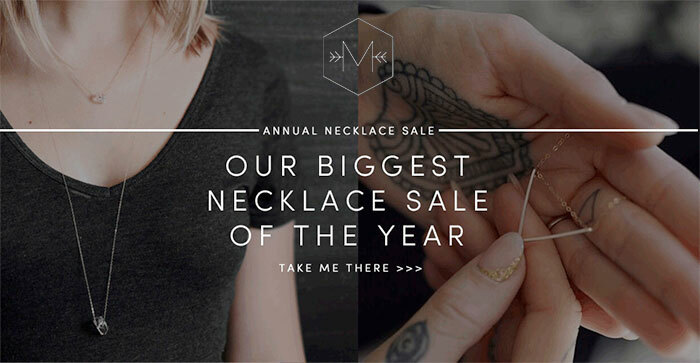 Right now, until June 27th, Midwinter Co. is having a necklace sale…so here’s your chance to grab your first piece and to check them out for yourselves if the brand is new to you, or to add to your existing collection if you are already a big fan like me! All pieces are 30% off, and you can get an extra 10% off with code ILOVEMIDWINTER. 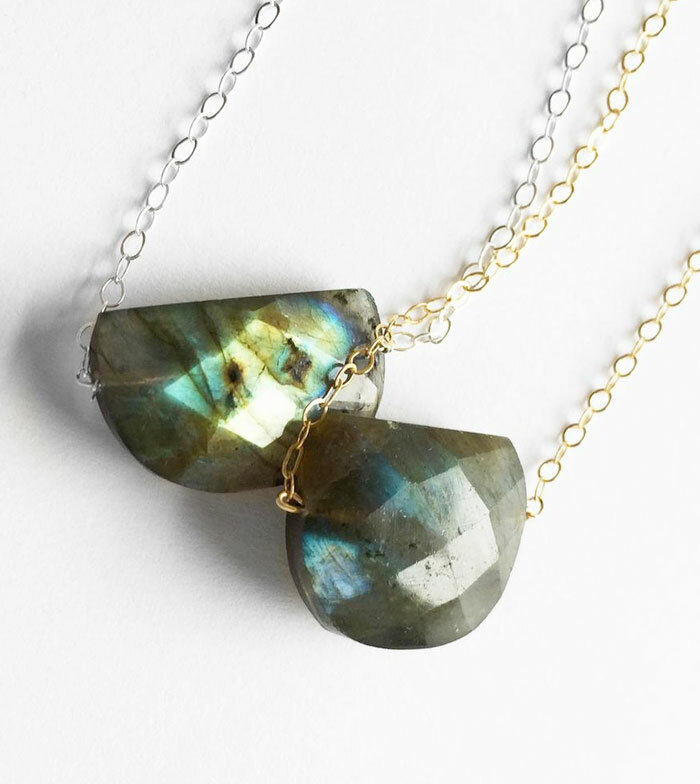 I mean, come on, how could you at least not love those amazing labradorite pieces below?! Shop Midwinter Co. here! Don’t forget to grab an extra 10% off with code ILOVEMIDWINTER. Last Saturday night I had a DJ gig at a super secret underground location with some close and new friends (which was badass), but during the day my hubby and I ran out to Los Osos (California, for my new readers), to Celia’s Garden Cafe for a mimosa brunch. This place is so good, both in food and ambiance! They also have a garden with plenty of plants and artwork for sale, which we hung out and relaxed in for awhile afterwards. 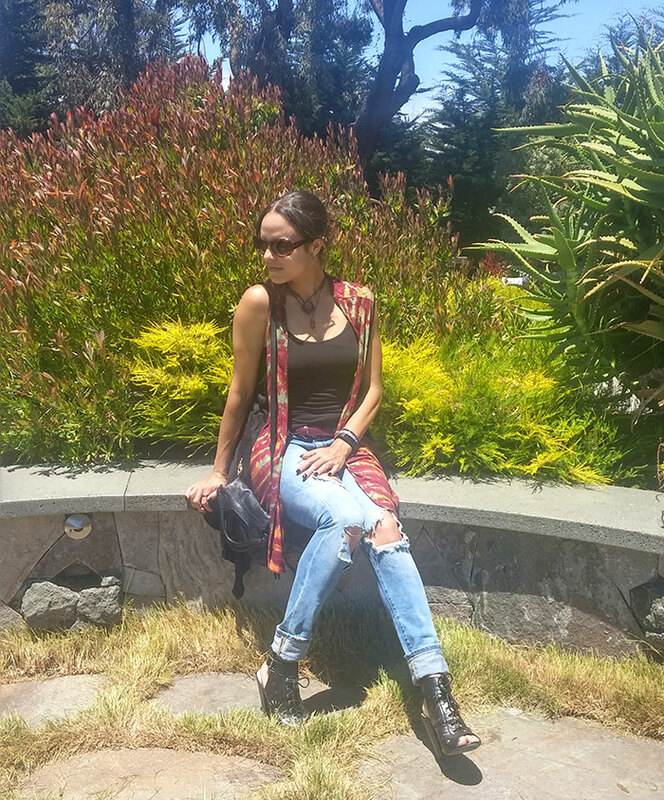 I wore my BLANKNYC Skinny Classique in Good Vibes, which you may have seen a million times already if you regularly peruse blogger profiles on Instagram. These are so crazy popular that BLANKNYC keeps restocking them, and I can’t think of any other piece from the brand that has been kept on the virtual racks as long as this one has been! I love that it’s a nice thick denim with only a tiny bit of stretch, so it’s nice and sturdy, and the rips and holes are placed so perfectly so you can kneel, sit, dance, jump or whatever it is you do on a daily basis without them ripping further. They do stretch out a little bit, so some people size down in this style, but I kept my regular size since BLANKNYC sometimes runs a tad small. I do need a belt with them now after a few wears, but some people do like to wear them slightly relaxed anyway (some even size up), so they are still a great jean! They go so nicely with everything. I also carried along my Foley & Corinna Disco City Clutch in Black which is so perfect for little outings like this! 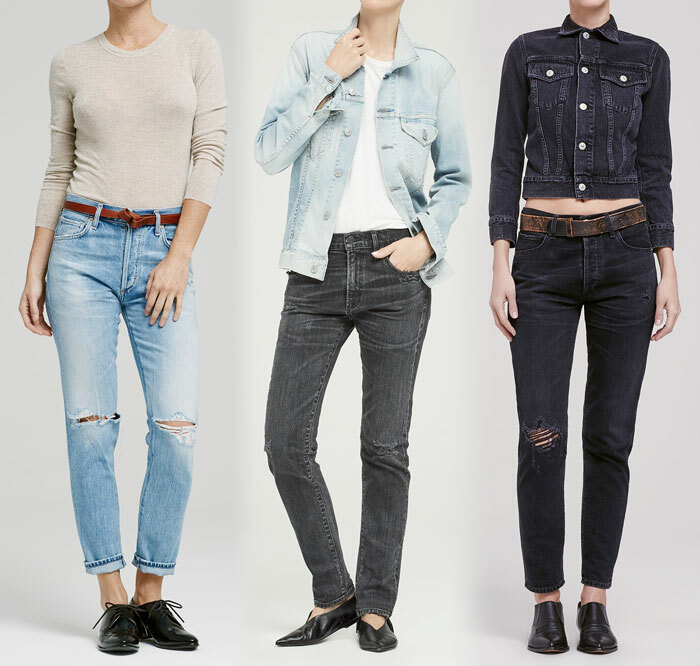 It’s been quite interesting watching all the incredibly comfortable, stretchy, curve hugging, shape-keeping jeans that have emerged ever since activewear threatened denim as we knew it a few years ago…just about every major denim brand has basically replaced their more cotton-dominating fabrics with stretchier alternatives. Some love it, some hate it, but it has definitely improved over time and it definitely has become just as competitive as the denim industry is to begin with. Most of the time, brands disclosed the makeup of their new innovative fabrics right on their product pages, but it seems now as things have become a bit more cutthroat, I’ve noticed some brands have become just a bit more secretive! But either way, as mentioned, since brands have had plenty of time to perfect their crafts with these new blends over time, I can pretty much always feel confident I’m going to find a winner with any of them.